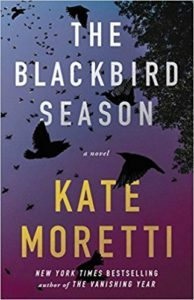 Kate Moretti’s THE BLACKBIRD SEASON is finally here!!! 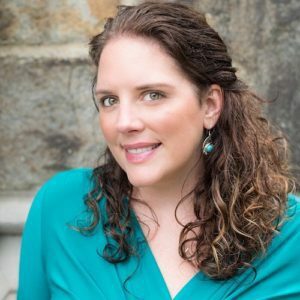 Our very own Kate Moretti, New York Times bestselling author, is here, taking a break from her busy launch week to answer some questions about her life both inside and out of the writing sphere. Read on to learn about this talented Poppy and THE BLACKBIRD SEASON! TPW: Talk about one thing that’s making you happy right now. KM: My kids are both at a friend’s house after school and I’ve had the whole day to myself to work, exercise, watch TV (what *I* want!) and it has been surprisingly invigorating but also, a touch lonely. I’m ready for them to come back now. TPW: Where do you love to be? KM: I love to be home. I love my house, it’s a farmhouse built in 1850 and while much of it is no longer original, I love the quirky layout, the unevenness of it. I like that the moldings don’t all match and the kitchen backsplash is crooked (okay, honestly I hate hate hate that), but everything else I adore. The floors are original and beat up and I don’t care if I hang a picture crooked and have to nail another hole in the wall. I need to live in surrounded by imperfection. TPW: Which talent do you wish you had? KM: I wish I could sing!!! TPW: When you were a teenager, what did you think you’d be when you grew up? KM: I wanted to be a social worker! Then a teacher. Then, my dad told me I’d always have a job if I was a woman in science (which is mostly still true). I enjoyed chemistry and biology in high school, so I went with it. I’m truly glad I did, I’ve loved working in the science field. I honestly had no idea that “writer” was something I could be. I felt like books appeared by magic out of thin air and their authors were ethereal and unreal to me. I honestly thought that Ann M. Martin was the most famous woman in the world. TPW: What time of day do you love best? KM: I am most productive between 2 and 5 pm, which also unfortunately happens to be the busiest, life-wise. I love the hour between 9 and 10 when the kids are in bed and it’s just us watching TV, working, reading. I particularly like it if the kitchen is clean, but honestly, it’s not a requirement! KM: My debut novel was more women’s fiction than mystery. THOUGHT I KNEW YOU was about a woman whose husband goes on a business trip and doesn’t come home. The mystery of “where is Greg” helped propel the narrative for sure, but it was more a story about a marriage and if it fails, where does culpability lie? I was definitely more interested in the characters and their relationships than the mystery aspect. Now, I love writing twisty suspense books so I’d definitely slot them in different genres. TPW: Have you ever met someone you idolized? What was it like? KM Yes. I met Gillian Flynn and Michael Connelly, both writers I’ve admired forever. They were both gracious and humble. Gillian was down to earth and hilarious. Micheal was very quiet. The whole day was surreal and I took a lot of pictures grinning ear to ear. TPW: What’s the strangest job you’ve ever had? KM: I worked at a chain called the $7 store where everything was $7 or under. It was my very first job, ever. Honestly, we caught like a shoplifter a week. It felt like a game to me. They would try on the clothes and wear them right out of the store. I remember the manager chasing someone through the parking lot. We caught someone once and when the cops showed up, the thief had a knife! It wasn’t a bad neighborhood at all, it was just this particular store. My mom said, finally, “ok, you’re done.” I was fifteen. TPW: What are you reading right now? KM: I just bought LITTLE FIRES EVERYWHERE by Celeste Ng and I recently finished ALMOST MISSED YOU by Jessica Strawser. Next up on my TBR is THE SIMPLICITY OF CIDER by Amy Reichert because Cider = fall, obviously! I love reading more about your everyday life, Kate! I relate to thinking books were mysteriously created by some sort of wise angels dropped from heaven. I thought for certain it was something a mere mortal like me would be incapable of doing. Your farmhouse sounds cozy and inviting, and obviously a great place for you to create plot twists. I’m reading The Blackbird Season right now and right away Lucia creeped me out. Awesome job on your description of her!